Consumers are also told what a "safe" and easy place eBay is to shop. 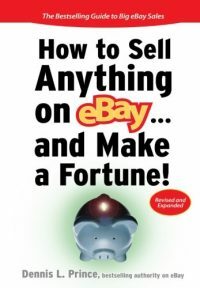 eBay has been promoted as the place for anyone to start a business (selling junk from your garage) for years. (More recently eBay went courting the corporate world, offering enticements and sweetheart deals to big sellers like Buy.com and others). For awhile it looked as though eBay would turn its back on the small individual sellers in lieu of the huge volume possibilities offered by the Buy.coms of the world. 2008 was a long year in eBay-land, the changes and turmoil wrought by the eBay executives decisions (right or wrong) made an impression on the rank and file. The effect of these constant changes on eBay's core audience of sellers (the little guys and gals) became more than an annoyance. For some of these smaller sellers the constant state of flux of 2008 - early 2009 ended a long term love affair. I will admit that my own love affair with eBay ended in 2008. It was just too frustrating at times, not only dealing with the changes in my own eBay selling business, but also fielding questions from my clients regarding unexplainable and sometimes indefensible new rules or policies and outrageous games with fee structures. I pretty much shut down all operations on eBay myself and quietly told my good clients that they might want to take a fresh look at eBay, it was time to evaluate whether the price in terms of time, frustration and costs, had possibly become too high for some to do business on eBay. This was a tough thing for someone like myself to do, I had earned a living as an "eBay Guy". 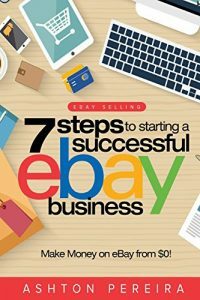 For years I was an eBay evangelist, promoting the benefits, offering training, offering business setups, designing eBay stores... I was writing this "Trading Assistant Journal" which started as an eBay based blog about being a "Trading Assistant or Trading Post" in 2007, (Then, due to changes in policies, I was neither a Trading Assistant or Trading Post by the middle of 2008). In effect, I had been helping to offer the "Kool Aid" in my own way, I did not feel as if it were kool aid at the time and I was proud of my designations as an eBay Stores designer, eBay consultant and eBay education specialist. 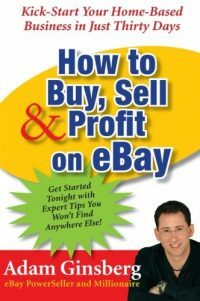 I was an eBay person to the core and I believed, truly believed, that eBay was the way to make money and have fun in business. But some major changes had come about and not only was my eBay business no longer fun, it was not profitable either. I lost a lot of money in my eBay business, I know I am not the first person to publicly admit that fact but the reality does not change. You can lose more money as a seller on eBay than you make... Keep that in mind. If it happened to me, with my training and experience, it could happen to anyone. 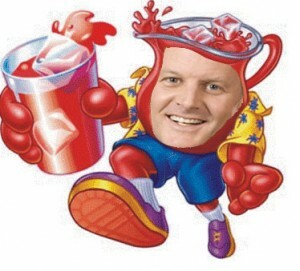 The Kool Aide is not always so sweet. I had a large office and warehouse for my eBay business. at the end of 2007 when the Trading Assistant and Trading Post rules changes took effect, I shut down all consignment operations. Therefore I no longer needed a warehouse and I did not need a 2000 sq ft office. During the course of 2008 I consolidated into a smaller office and now in 2009, since I had been working mostly from my Beach Condo anyway, I moved my office to the Beach. This move, of course, precipitated some purging of office related "stuff". In effect I needed to clean out my garage or attic. I heard it inside my own head, in fact I was thinking that I really needed an article about eBay for this Journal and that I should go through the steps of listing an item on eBay without using fancy listing software etc. I should take a fresh look at the process, start to finish, of listing an item on eBay with the "sell your item" form. What is it like selling on eBay in 2009? I must admit that the process of listing items for sale using the eBay sell your item form is much easier than I ever remember it being. I listed about 10 items in the span of an hour late one evening in my old office before the move. Not a lot of stuff, just books and software and other things I did not need any longer. Since I had kept up with the growing eBay vs Bonanzle debate (insert your favorite selling venue here, I prefer Bonanzle myself), I wanted to see just how fast these eBay listed items would sell using no special tactics or traffic generation, just by listing on eBay as any other person would do. This is not a comparison review, because I did not list the same items on Bonanzle, I simply wanted to see if the bad taste of sour Kool Aid from 2008 was still stuck in my mouth for a reason. 7 of my ten items listed did not get a bid, these 7 items were various technical and business or software related books and did not cost that much to list, but they were started at a price of less than half of retail and way below any competing products. All of the books were in like new condition. 3 of my items sold = 30% STR - Not Bad, but not great and really not a true Sell through rate as these were all different items. One of the items that did actually sell was an opened retail box with a (un-named) software disk within. This item sold for over $150 which pleased me because I had described exactly what the item was and it was not new. This item was an open retail box, included a certificate of authenticity and the complete manual. The return policy was set at 3 days. That last item has replaced the bad eBay Kool Aid taste in my mouth. Not because the buyer wanted a refund due to not reading the item description or my responses to several other bidders questions about the item or its condition. Nope, not even due to the fact that the buyer had convinced themselves that the item was something it never had been listed as, or because the buyer wanted a refund after the 3 days return period... The bad taste is back because PayPal immediately granted the buyers wish, removed the money from my account and issued a decree that I would accept the return if the item was shipped back to me. I called PayPal to ask why? In my call as well as in my response to the PayPal dispute, I explained that the item was described correctly, I offered proof that the item had been signed for upon delivery at a date and time that was in excess of the 3 day return policy. I submitted screen shots of the listing of the shipping delivery information and of the full questions and answers to bidders about the item condition etc. I also explained to the PayPal representative on the phone (who may not realize that since this was a piece of software that it had most likely been copied) and that since the buyer was in the software selling business on eBay, that they had more than the average amount of knowledge when it pertains to the buying and selling of software, the buyer obviously did not read the listing, or they are running a scam. Not one part of my honest contribution to the "PayPal investigation" made a bit of difference. Why? because the buyer claimed within the PayPal dispute form that the item was significantly different than what was sold. That is all the information the buyer submitted, no proof, no screenshots, no images of the imaginary or supposedly different product they received. Guess what, PayPal did not ask for any kind of proof either. Apparently if a buyer keeps the PayPal dispute form short and sweet, it matters not what the seller submits as proof to the contrary. It does not matter that the images of the box are exactly the same as what was displayed on eBay, it does not matter that the 3 day return period had expired, it does not matter that the product sold and its certificate or authenticity have been compromised, it does not matter that the seller has 100% feedback going back over 13 years on eBay. None of that matters, the only thing that matters, and the investigation of any claim by a buyer ends when PayPal read these words. No amount of proof to the contrary will make a difference, the buyer is granted free reign to buy software, copy it, claim it was significantly not as described, and then own it for the price of shipping the item back by eBay and PayPal. In effect the words "Not as Described" throws up a roadblock to further investigation by PayPal. This little loophole in PayPal policy makes for interesting opportunities for the unscrupulous among us, does it not? How many other non tangible goods categories could be exploited in this way? Obviously not all buyers are unscrupulous, and I have dealt with more than my share of sellers who are not pillars of honesty, but for PayPal to proceed in this manner, while they hold my funds in thier own interest bearing accounts - well, I will say that this somewhat unpleasant reminder places the very real and very bad taste of some very old "Reverend Jim Jones style Kool Aid" in my mouth. Sellers beware, the PayPal dispute is not just slanted toward the buyer, it is a deck of cards with too many one eyed jacks, and that deck is stacked against you.